Here at The School Renovation Company we work throughout the Fulham and surrounding areas including Parsons Green, Sands Green, Hammersmith and West Kensington. 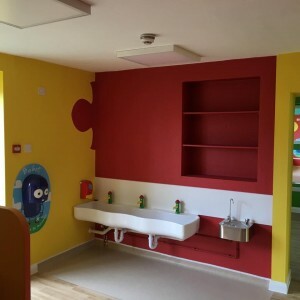 A school renovation, refurbishment or building project is a large undertaking and needs experienced, specialist attention – this something that the team here at The School Renovation Company specialise in. Our team have worked on various school renovation and nursery building projects over the years and we know exactly what it takes to make a project work. Whether you’re thinking of renovating the library, redecorating classrooms or school hall area, we will do our very best to work within your time scales and budget. What separates us from the rest is our ability to understand your exact requirements and build on those using our expertise. Not only do we provide competitive rates, but we never compromise on quality and only source the very best materials available to us. Our team can help with all aspects of building, renovation and refurbishment including design, build, flooring, plumbing, electrics, carpentry, decorating and more.